Tiffany Bozic’s wildly successful solo exhibition Qualia is certainly the artist’s strongest work-to-date. Having worked with Bozic for many years, it has been a pleasure to see the artist’s immense talent evolve to where it is today. Just over a week shy of the closing date, Bozic has returned from an incredible expedition to Namibia—a trip we're sure will be the inspiring beginning of more, beautiful work to come. If you can't make the final week for this exhibition, please enjoy some of these installation views on our website. 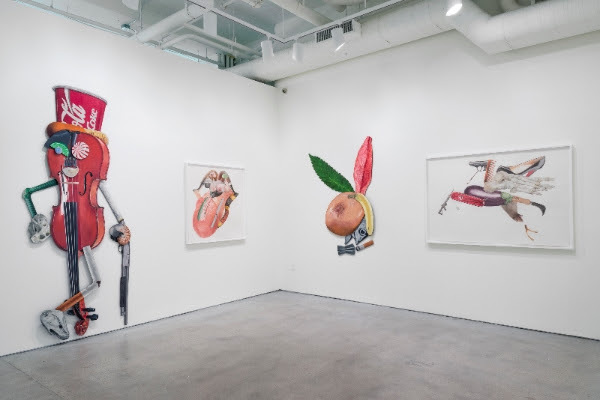 Alfred Steiner's inaugural exhibition with the gallery certainly packed a punch both visually and conceptually. Many enjoyable hours have been spent guessing the iconic source images of these detailed watercolors. 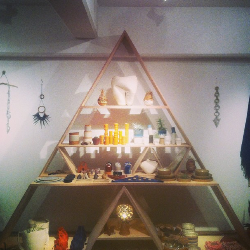 Please enjoy some installation images of the exhibition. On a more serious note, Likelihood of Confusion has offered a truly insightful look into the fascinating and complex world of intellectual property. If you'd like some extended reading on Steiner's engaging body of work, head over to Cool Hunting for their wonderful feature on the show. It's hard to believe we're already nearing the end of 2014! 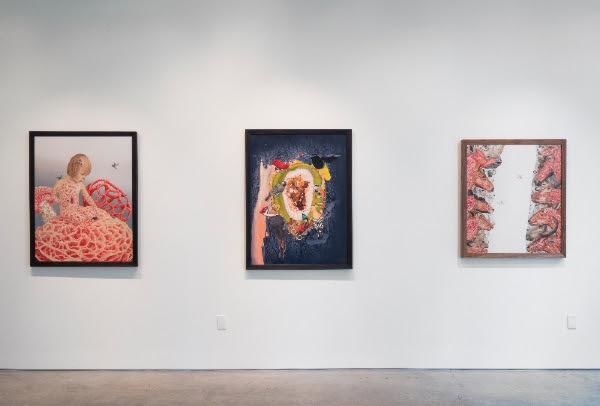 Concluding our program for the year, Joshua Liner Gallery is excited to present the artist curated group show: Your Favorite Artist's Favorite Artist. Featuring artists exhibited this year and forthcoming in 2015, each gallery artist has selected to show alongside a creative individual whom they admire. On view from November 20 to December 20, this eclectic and diverse exhibition of work is a reflection of a vibrant 2014 and offers a fresh outlook for the coming year. Your Favorite Artist's Favorite Artist is an intimate look into some of the artists that you admire. Perhaps in an algebraic property of equality, their favorite artist will be yours, too. Please join us for the opening reception on Thursday, November 20 from 6–8PM. Many of the artists exhibited will be in attendance to celebrate the occasion. 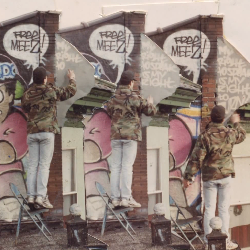 Stephen Powers recently gave a talk on his transition from a young graffiti writer to established artist, and the trials and successes of the popular Love Letter series. The talk is one of a series of lectures put on by Creative Mornings, held at MoMa. Serena Mitnik-Miller's beautiful signature watercolors were recently on view at her solo exhibition with Curator's Cube in Tokyo, Japan. The solo show, entitled WATERCOLOR, was accompanied by a pop up version of Mitnik-Miller's charming General Store. 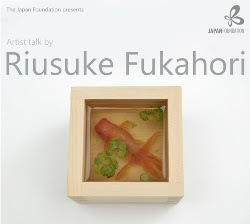 December 9th at the Japan Foundation in London, Riusuke Fukahori will host an artist talk, discussing his intricate practice and goldfish inspiration. He'll also be giving a live-painting demonstration, so be sure to reserve a seat if you're in the area. 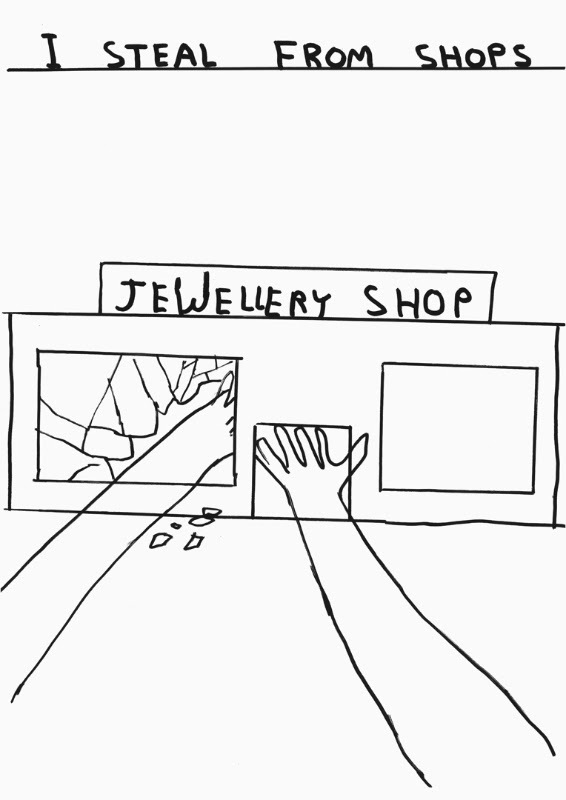 Geoff McFetridge's creative projects are becoming increasingly diverse. 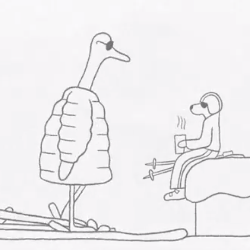 Never ceasing to amaze, McFetridge recently created an animation for Patagonia to promote awareness of the brand's humane process of obtaining goose down.